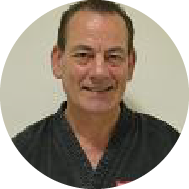 Bob Elliott has been teaching Ju Jitsu since 1987, initially in his garage to neighbours in South East London and as numbers quickly grew, he moved into a small Community Hall in Flintmill Cresent in Eltham. The instruction is syllabus based and is well grounded in traditional Japanese Ju Jitsu, which is a strong form of self defense. Sensei Bob feels that no one should be intimidated, and is very anti-bullying. 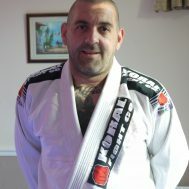 Sensei Micky has been training and teaching Ju Jitsu for a number of years and is a 3rd Dan Black Belt. Sensei Mickey is also the Welfare Officer for the club. 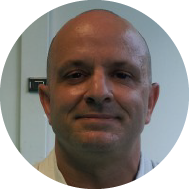 He has been with us over 20 years and is a great asset to the club. Carolyn Elliott is a 2nd Dan Black Belt and the Club Secretary who smooths much of the administration of the Club. 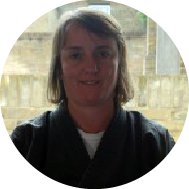 Carolyn has been training in Ju Jitsu since 1994 and as well as continuing to teach and train, enjoys other sports such as swimming. She is married to the Chief Instructor, Sensei Bob and with two children and a job. At the age of 14, Sensei James began studying jujitsu under Sensei Bob achieving the grade of 2nd Dan. 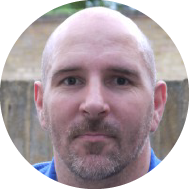 As part of a business relocation, Sensei James spent 18 months working in Manchester. 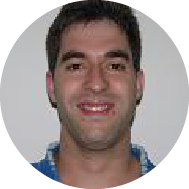 During his time in Manchester, James practised Brazilian Jujitsu (BJJ) achieving the grade of Blue Belt. Sensei Len is certified in many different martial arts. He has been training with our club since 1997. 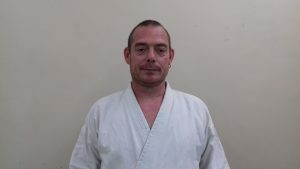 He is the Chief Instructor for the Gaijin Ryu School of Martial Arts. For more information please visit their website, which you can find on our links page. Sensei Rob is a 1st Dan Black Belt.